So you’ve been staying in the iTunes world for a long time and have saved plenty of songs in your iTunes playlist. It might be a bit of pain if you decide to get out of iTunes world and go into android world. Even though Apple’s music management software makes it easy to sync iTunes music to Apple handsets, it is still a big problem to transfer iTunes playlist to android. Don’t fear, it’s no longer impossible to play iTunes music on android now. Here we’ll take a look at several ways to transfer iTunes music to android for enjoyment. The Manual move is a straightforward way if you just want a few choice tracks. You can transfer music from iTunes to Android with a USB cable and do it the old fashion way by clicking and dragging. Connect your Android phone as an external hard drive via USB cable. 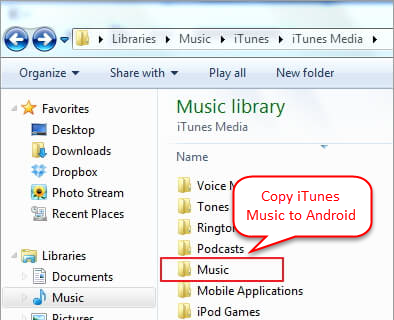 Open the iTunes media folder to copy and paste iTunes m/usic to your Android device music folder. If you have a large iTunes library, then the manual way will take too much time to copy music files from iTunes media folder to your Android device. Another option is to use iTunes to Android Transfer. 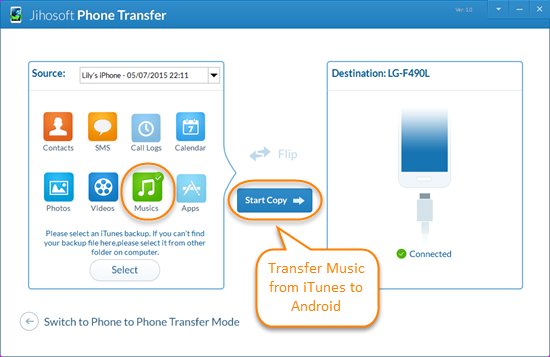 It offers an one-click way to transfer iTunes music and playlist to Android device. 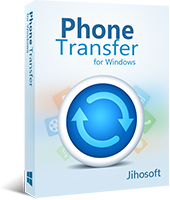 Download, install and run iTunes to Android Transfer on your PC. Click the Switch button in the bottom left, then select the iTunes backup file. Connect your Android phone or tablet with your computer via a USB cable, and let the program detect and recognize the device. Select “Music” and click “Start Copy” to begin the transfer, you will later find that the songs, as well as the album, artist, genre, etc. are listed in your Android. Google Play Music is another excellent way to move all iTunes music to your Android device. It makes iTunes music library be accessible to all your Android devices and takes up no storage space on your phone or tablet. 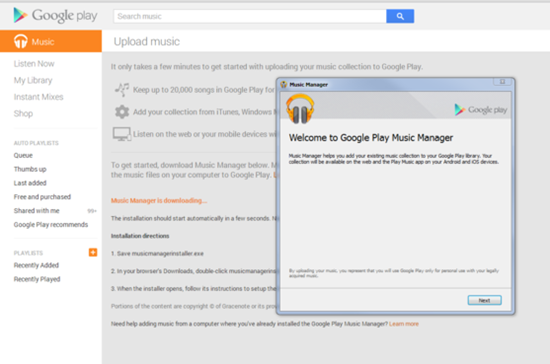 Head to Google Play Music, click the Upload icon in the top right corner, then download the Google Play Music Manager tool. Install the Music Manager and sign into your Google account, it will instantly find and start uploading all of your music from iTunes to the cloud. Once the upload process is complete, all of your iTunes music will appear in the Google Play music app on your Android device. 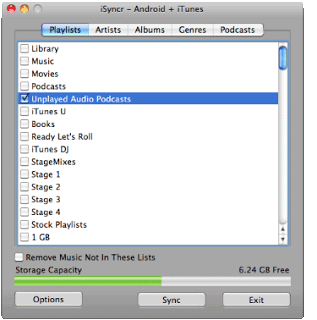 iSyncr for iTunes makes it easy to transfer albums and artists from iTunes playlists to any phone or tablet over WiFi or USB. Install iSyncr for iTunes to android from Google Play. Syncr requires you to download iSyncr desktop on computer, just input your email address and you’ll receive a download link from jrtstudio.com/isyncr. iSyncr will create an S icon but not a normal app icon on system tray (Win) or menu bar (Mac) after download, right-click to interact with iSyncr Desktop. After installation of iSyncr and iSyncr desktop, connect android device to PC. Right-click the “S” icon on your Win and choose android device. Now you can select music, artists, albums or playlists and click Sync to start transferring process, you’ll find iTunes music on android when the sync has finished.